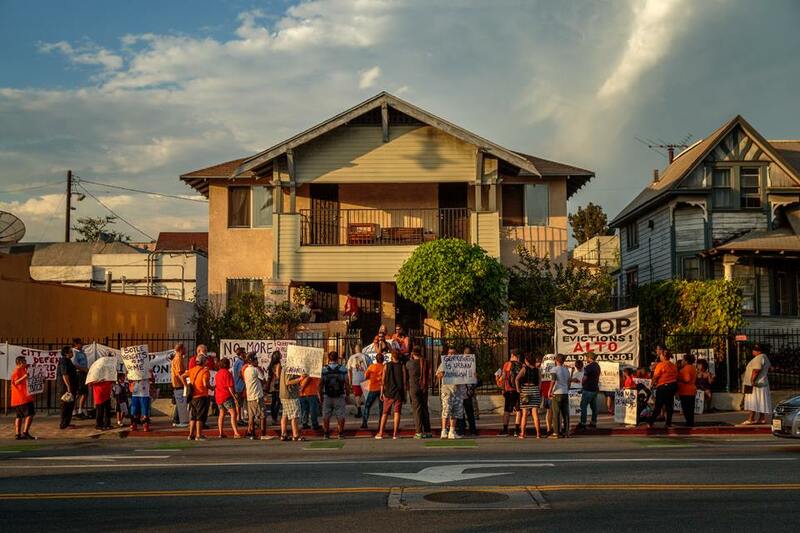 The LA Tenants Union is an autonomous housing movement funded completely by its members. For unemployed members, that amount is just $1 per month ($12 per year). Employed members pay monthly dues of $5 per month ($60 per year). To mobilize tenants in a city as diverse and expansive as Los Angeles, the LA Tenants Union is establishing local chapters. Locals organize around neighborhood issues and help link neighborhood struggles to the larger movement for housing justice. We are growing rapidly and have local chapters covering neighborhoods across every corner of Los Angeles to the San Fernando Valley! Monday general membership meetings are great place to start getting involved in the tenants union. Monday night meetings feature education on tenant rights, lively debates about policy, action planning, solidarity and fellowship. General meetings are every 1st Monday of the Month at the United Teachers of Los Angeles, 7-9PM. The LA Tenants Union is building a base of empowered tenants who can educate and support each other in times of need. Are you being harassed by your landlord? Offered a cash-for-keys agreement? Victim of an Ellis Act eviction? Unfair rent increase? Do you want to start a tenant association in your building? We want to support you!